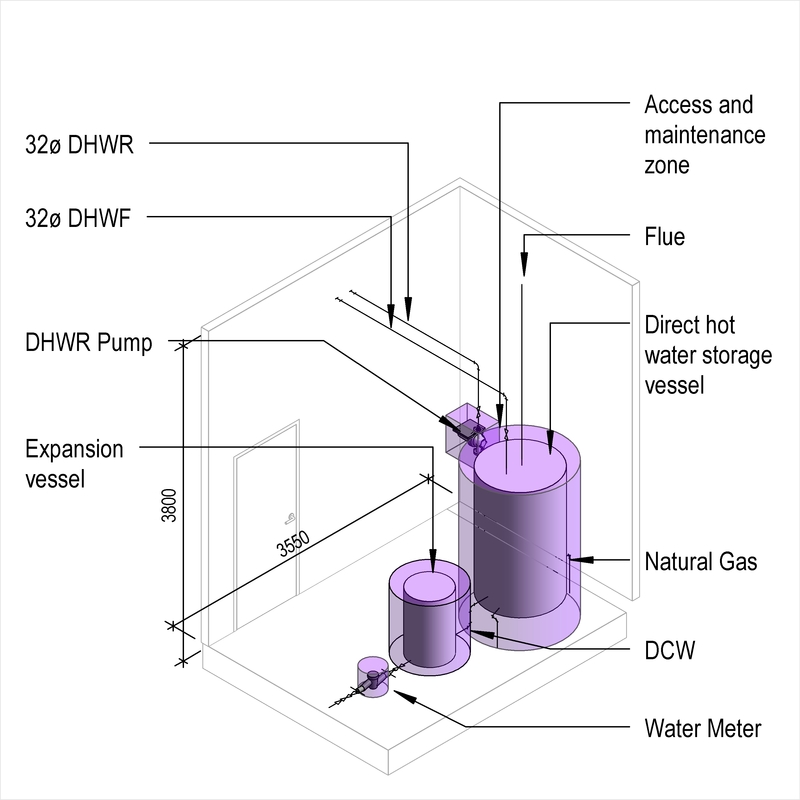 An indirect hot water storage supply system typically comprises of items such as capacity, primary heat source and primary. 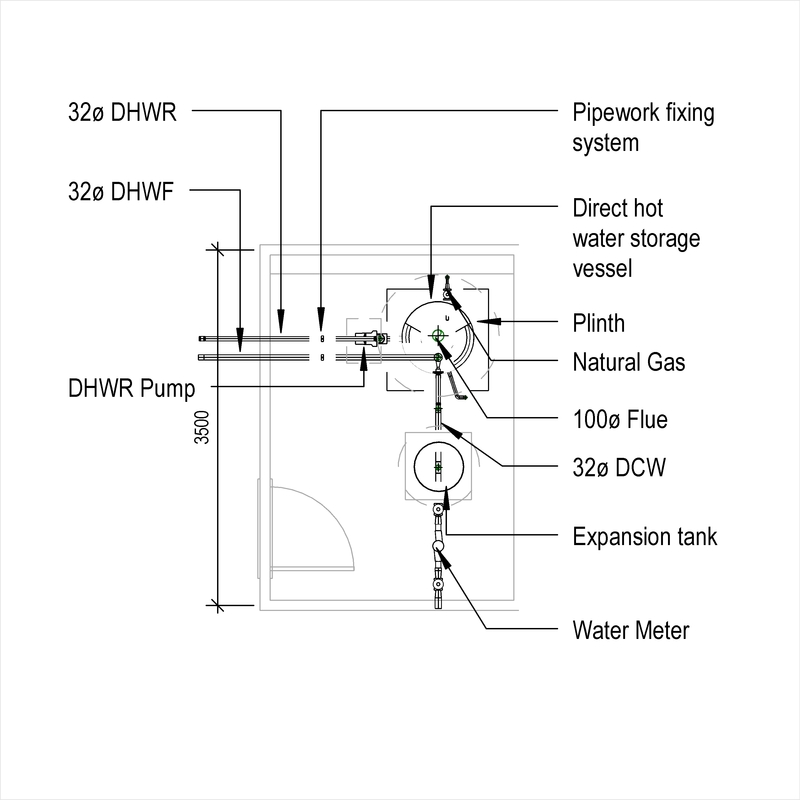 Complete this electronic spreadsheet to ensure that your Indirect hot water storage supply systems product information meets the requirements of Level 2 BIM. This is important as it will enable your customers to select, specify and use your products within the BIM environment. Once you have completed this template you can host it on your own website or distribute it to your customers. Please note that we do not host completed product data templates within the BIM Toolkit. 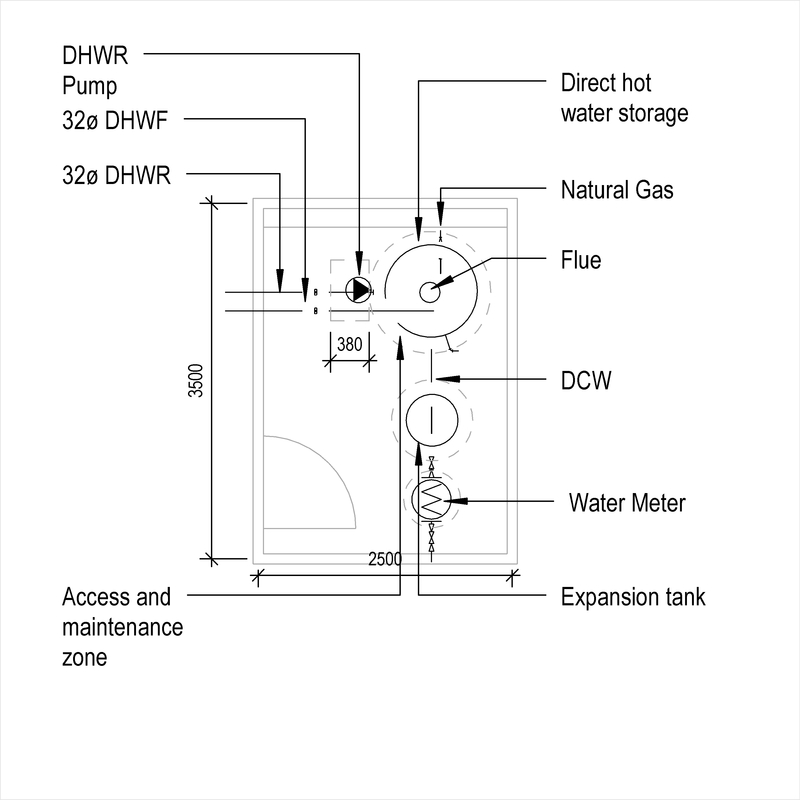 The above illustrations are for Direct hot water storage supply systems from the NBS section Hot and cold water supply systems. 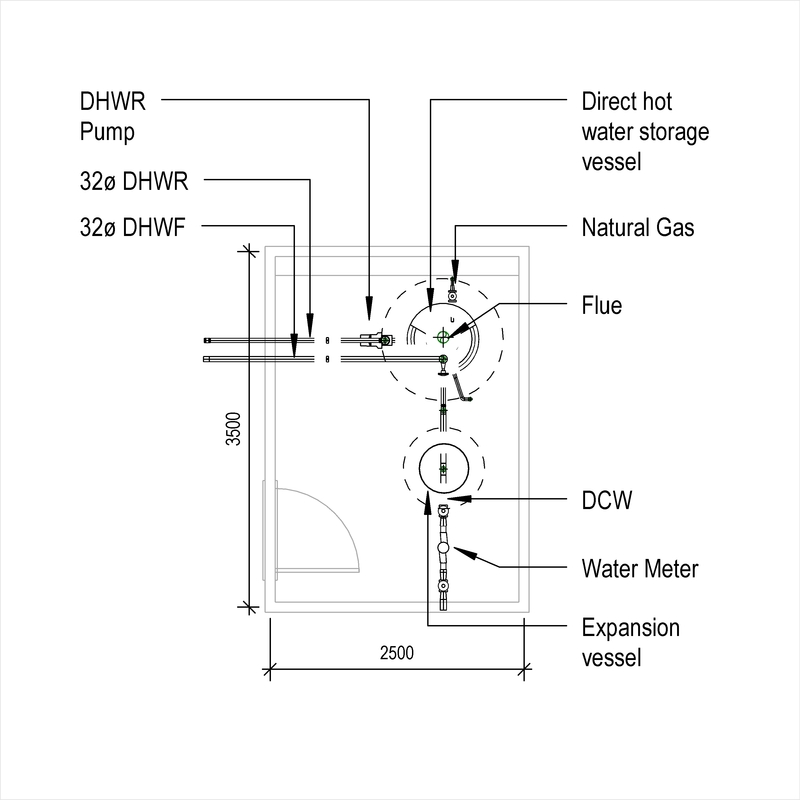 This is indicative of the LOD requirements for Indirect hot water storage supply systems. 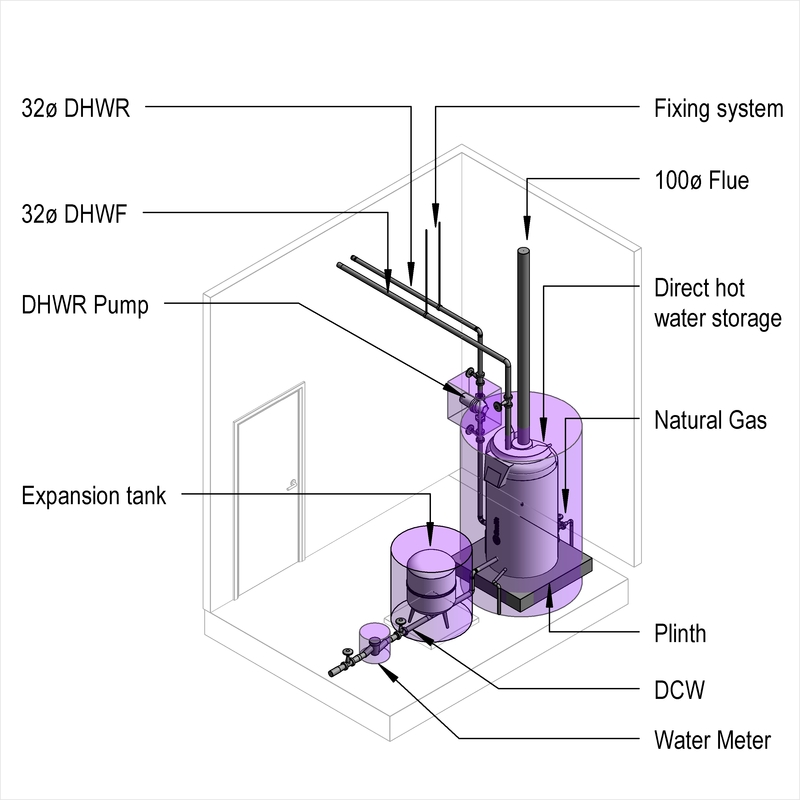 Centralized hot water storage system System design, Storage capacity and Primary heat source. 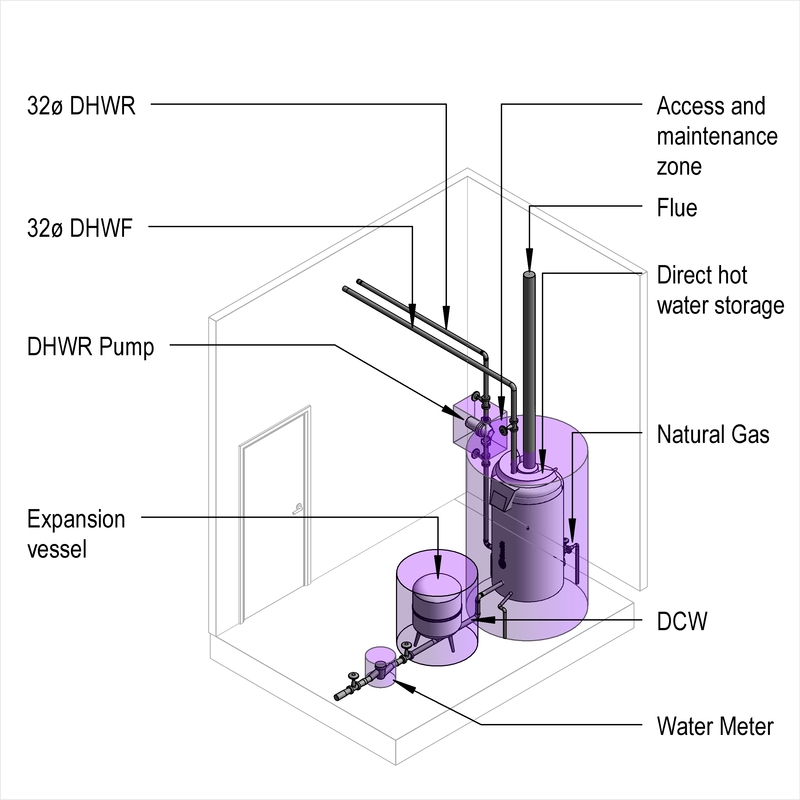 Capacity The Capacity of the Indirect hot water storage supply systems. Primary heat source Products such as Gas fired boilers. 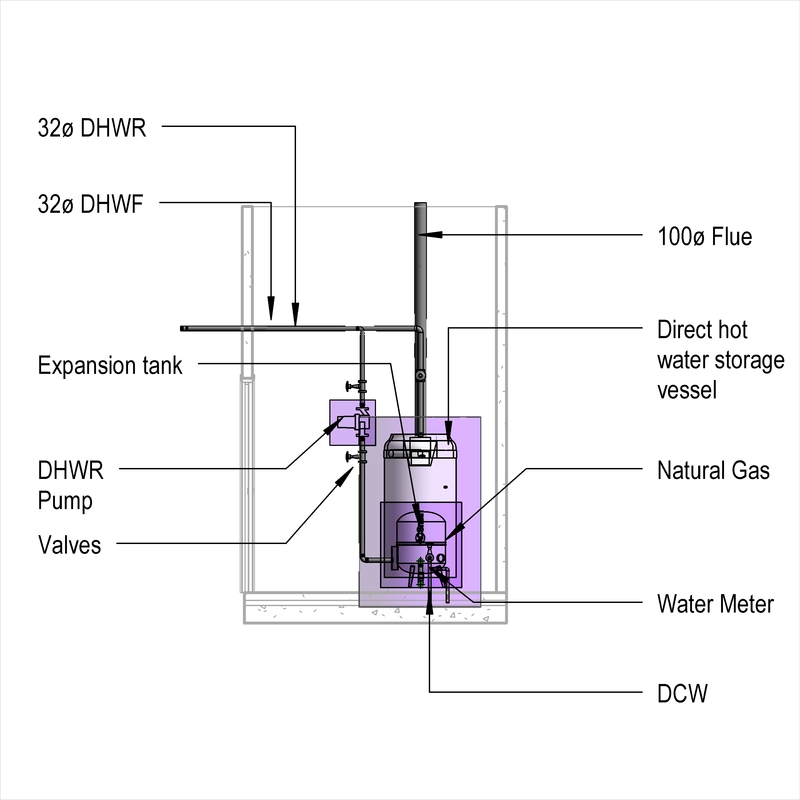 Primary The Primary of the Indirect hot water storage supply systems. Storage unit Products such as Dual coil hot water storage cylinders. Electric immersion heater Products such as Immersion heaters. Pumps - Primary hot water supply Products such as Canned rotor pumps. 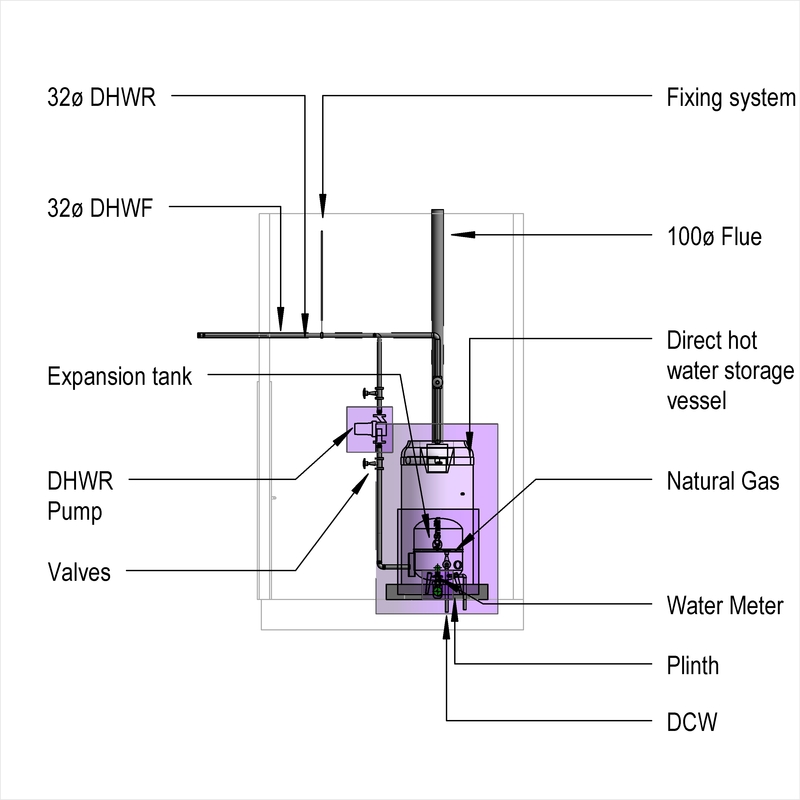 Pumps - Secondary hot water supply Products such as Canned rotor pumps. Valves - Accessories Products such as Test points. Thermal insulation - Cylinders Products such as Mineral wool duct metal mesh faced mattress insulation. Accessories Products such as Expansion vessels.